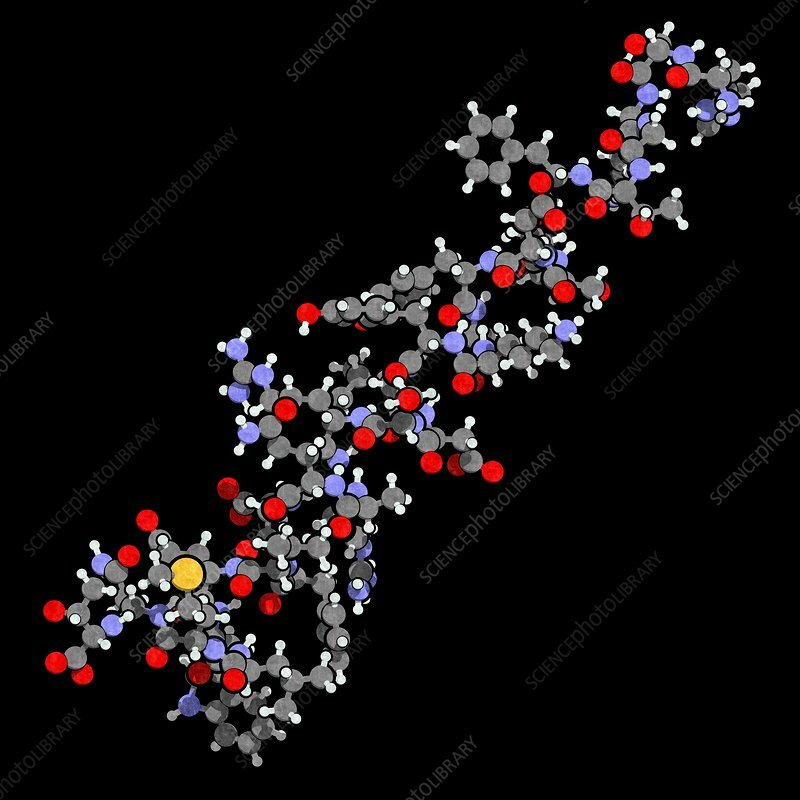 Glucagon peptide hormone. Has blood sugar level increasing effects, balancing the effect of insulin. Ball-and-stick model with conventional colour coding.